Founder of the online electronic dance community, Socal-Breaks.com; founder of the breakbeat club Boom Box; founder of the premiere techno and electro club, Compression – Rob Pointer (also known as Robtronik) been pushing the sounds of Electronic Dance Music in Southern California as a DJ and a promoter since the beginning of the new millennium. Having been a DJ since the early nineties when the rave and techno scene exploded in the United States, Rob has accumulated a vast and deep selection of music that cuts across all dance music genres. He is deeply committed to the culture and the DIY ethic of the electronic dance music community. He has been honored to play for Giant, Spundae, Godskitchen, Avalon as well as Insomniac, Space Island, amongst other notable venues. Beginning as a weekly in May of 2002, Boom Box helped keep breakbeat a focus for southern California club culture by highlighting internationally known artists such as Lee Coombs, Mechanoise, Uberzone, The Crystal Method, Simply Jeff, Atomic Hooligan, SOTO, Elite Force, B.L.I.M., and many more. Also known for founding and running Compression, one of LA’s top techno clubs that has featured Derrick May, Juan Atkins, Kevin Saunderson, Richie Hawtin, Claude Von Stroke, Josh Wink, Adam Beyer, Egyptian Lover, Arabian Prince, Kenny Larkin, Steve Bug, John Tejada, Mathew Jonson, & Joel Mull amongst others. Compression ran for 4 years strong at the mighty King King as well as Cinespace and has been credited with helping make Los Angeles an epicenter for Techno alongside other LA stalwarts Droid Behavior (amongst others). 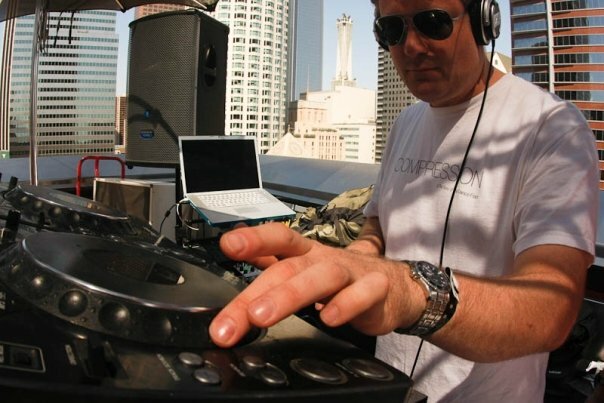 All in all, Rob has produced hundreds of electronic dance music shows in LA over the last decade and was responsible for LA’s first 3 day techno festival CONVENTION which hosted over 20 international and domestic techno acts from the Wighnomy Brothers, Juan Atkins, Misstress Barbara, Kate Simko, Jamie Jones, Robert Hood, Paco Osuna and more. As former Director of U.S. Markets for Propellerhead Software, Inc., the U.S. based arm for the Swedish based Propellerheads, Rob spread the word and music culture of the company that makes the immensely innovative and popular music software solutions Reason & Recycle (amongst other things). He also was a guest co-host with the Crystal Method, every Friday night, on the Community Service radio show on Indie 103.1 FM for two years before its demise. Currently working on relaunching Compression, Rob has launched a new Monday night club in Hollywood called SELECT. It will begin on Monday April 4th with Dirtybird’s Christian Martin and Worthy w/ Rob as his own resident DJ naturally!